Do you like the Facebook timeline design? 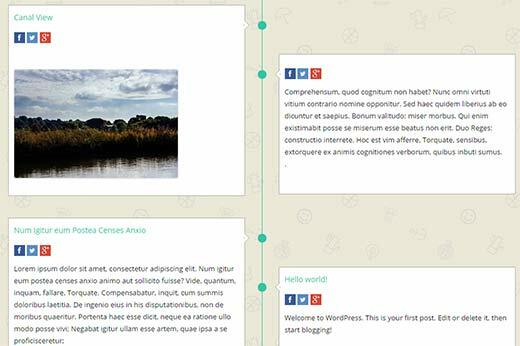 Want to add a timeline style design on your site? Well now you can. While there are several WordPress themes that display posts in a Facebook’s timeline style, what if you wanted to display it only for a specific category or tag? In this article we will show you how to add a Facebook style timeline in WordPress without changing your theme. The timeline display is perfect if you want to follow your progress on a specific topic on your life or business. First thing you need to do is install and activate the Timeline Ultimate plugin. Upon installation, the plugin will add a new Timeline Ultimate menu in your WordPress admin bar. To create your timeline you need to visit Timeline Ultimate » New Timeline Ultimate. You will be asked to enter a title for your timeline which can be anything you want. Below that, you will notice three tabs: Timeline Options, Timeline Style, and Timeline Content. By default, the plugin will show you timeline options tab where you can select the number of posts and thumbnail settings. 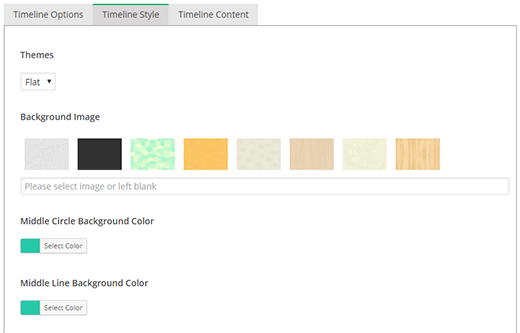 Timeline Ultimate comes with a number of built-in style options. Click on the Timeline Style tab to configure the display of your timeline. You can choose background image, colors, and font sizes. After that you need to click on Timeline Content tab to adjust content settings. 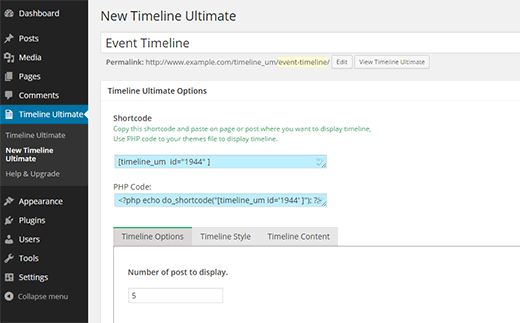 Timeline Ultimate supports custom post types as well. You can also choose from your latest posts, categories, tags, custom taxonomies, yearly or even monthly archives. 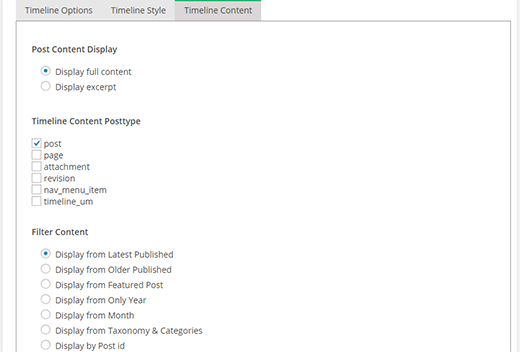 Once you are satisfied with the changes, simply click on the publish button to make this timeline ready. 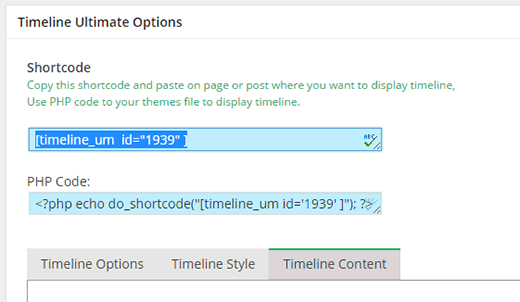 Each timeline created by the plugin comes with its unique shortcode and template tag. All you need to do is copy the shortcode and then post it in a page or post in WordPress. That’s all you can now visit the page and see your Facebook style timeline in action. 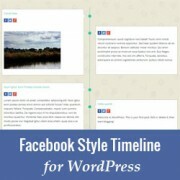 We hope this article helped you add a Facebook style timeline to your WordPress site. You can add multiple timelines, so feel free to add timelines for your events, topics, or journal keeping. If you liked this article, then please subscribe to our YouTube Channel for WordPress video tutorials. You can also find us on Twitter and Google+. How to add data in timeline from front end .Means data will be enter from a webpage (like result of a student) and it will be shown in the the time line in defferent page. Why can I not comment or see comments of those who go to our site? Also, why are the pictures not showing up by my posts?